Erick's Blog Power corrupts, and absolute power corrupts absolutely. In the book, Red Scarf Girl, the author Ji-Li Jiang believes that duty should come first in any occasion because it is what you do to gain people’s trust. 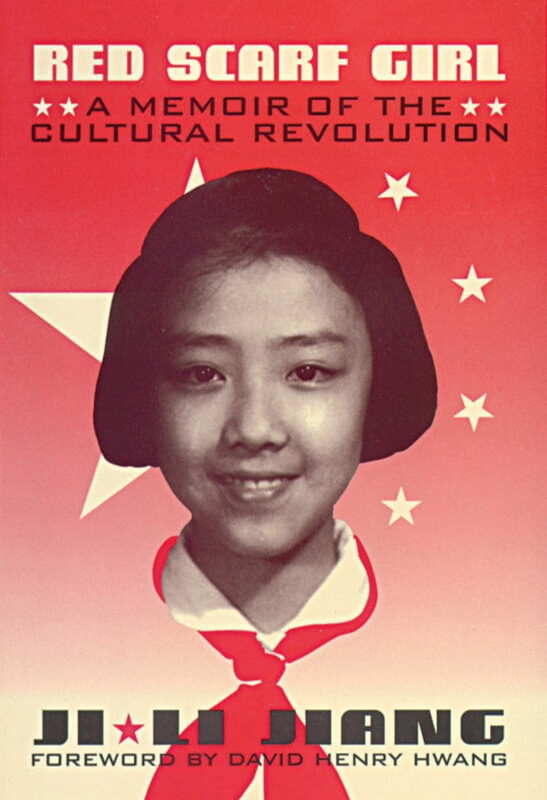 In the story, the narrator states that “all students were directed instead to participate in the movement by writing big posters, da-zi-bao, criticizing the educational system. Rolls of white paper, dozens of brushes, and many bottles of red and black ink were brought into the classrooms” (Jiang 38). At this point in time, it was the beginning of the Chinese revolution, and the students, including the narrator, were all extremely eager to assist Mao on destroying the Four Olds. Writing da-zi-baos disapproved the old education system and demanded change. Meanwhile, teachers began to be punished for simply doing their jobs. Another piece of evidence from the book that proves the author’s point of duty being a priority is evident when the narrator buys food for her family. She “volunteered to buy meat and vegetables at the market. This was the hardest job, but considering Grandma’s age– she was over seventy– and Mom’s and Dad’s schedules, I felt it was my duty” (Jiang 89). Showing that the author not only feels a sense of duty to her country but also a sense of duty to her family. She wants to prove to everyone that she is a worthy child; however, since she is still young there are times when she struggles to do certain tasks. Sometimes experiencing a revolution can be troubling for a student. They have to face many conflicts, whether it be towards her country, her family, or herself. A quote from the text to support this claim is when the narrator says, “You are different from your parents. You were born and raised in New China. You are a child of Chairman Mao. You can choose your destiny: You can make a clean break with your parents and follow Chairman Mao, and have a bright future; or you could follow your parents, and then… you will not come to a good end” (Jiang 190). From this, we can see that the students in the revolution were troubled by the decision to choose whether to follow their beloved chairman or their parents. In their minds, Chairman Mao was the greatest parent of all, but their true parents were the ones who raised and cared about them. The narrator has to decide which path she should take because she feels a sense of duty towards both her family and Chairman Mao. From reading this story, I can comprehend a little of what it was like for a student in the revolution, and how the author story so strongly believes duty should come first in any given situation. “Red Scarf Girl by Ji-Li Jiang.” Scholastic, www.scholastic.com/teachers/books/red-scarf-girl-by-ji-li-jiang/. I was a college student in The Proletarian Cultural Revolution. In the beginning, I joined the red guards and became a supporter of Mao; however, because of his brutal punishments to the people, I changed and became someone who opposed him. This was a narrative written from my perspective of The Cultural Revolution. Throughout these ten years, many things had changed. The revolution Stopped China from going forward & developing for more than 10 years. Many traditions, religions and valuable cultures from 5,000 years of history were broken and destroyed. Fathers and sons turned their backs on each other. They reported their family members to the government and felt honorable. Although many changes were made, there were also things that stayed the same. First off People were still poor. China’s economy stayed in the same position as before. The whole purpose of the revolution was to increase the peoples’ spirit and culture. It was also mainly focused on the development of industry, national defense, agriculture, technology, and economy. The Great Proletarian Cultural Revolution was a time when Chairman Mao decided to initiate the purge that eliminated the capitalists in China. It was also the time when he destroyed the four olds and established the new. Many traditions and irreplaceable objects from Chinese history were broken. The revolution caused a devastating effect on China’s economy and political power. This video is to give you a brief overview of the Great Proletarian Cultural Revolution. It highlights the important turning points as well as the continuities and changes.